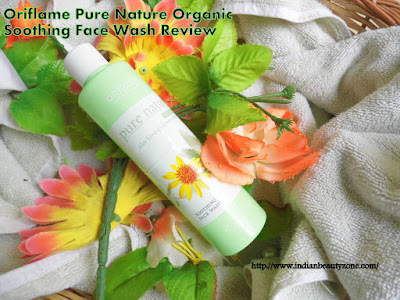 Oriflame Pure Nature Organic Soothing Face Wash is a mild face wash with the goodness of Aloe Vera and Arnica to nourish and care for your sensitive skin. It keeps your skin hydrated and smooth after washing. This face wash comes in a long sturdy plastic bottle which is in light green colour remembering Aloe Vera, the white lid is screw open type, inside the packaging they provided a pressed air tight lid with a hole to dispense the face wash. So it is completely user and travel friendly. The colour of the face wash is semi white and the texture is runny and creamy. It smells like default oriflame products fragrance. I smell the same fragrance with most of the Oriflame products. But it is mild and pleasant. The quantity provided is really more, I have bought this last year and still left 1/4 of this face wash with me. I got bored with this face wash really, I have a bad habit like I can't use same product for long time unless otherwise I found very suitable. 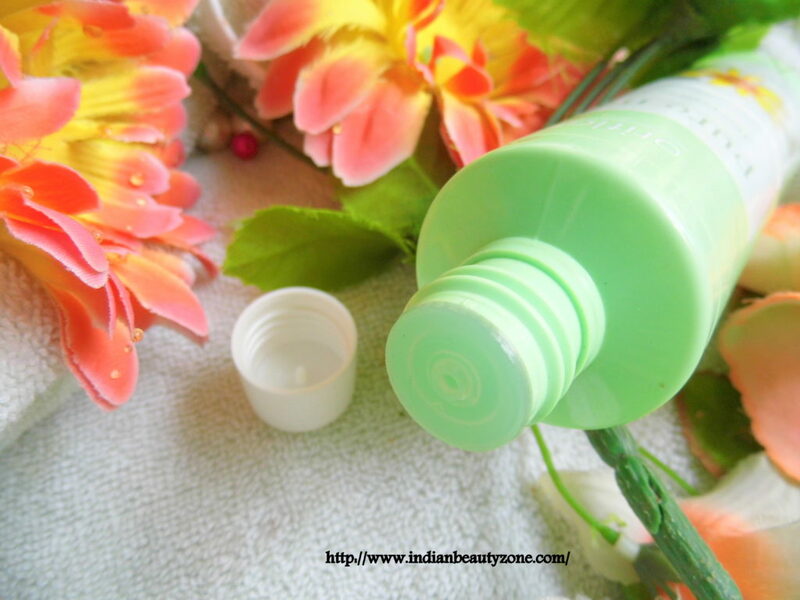 This face wash is lathering well and cleanse the face well. I feel soft and smooth after washing as they mentioned. 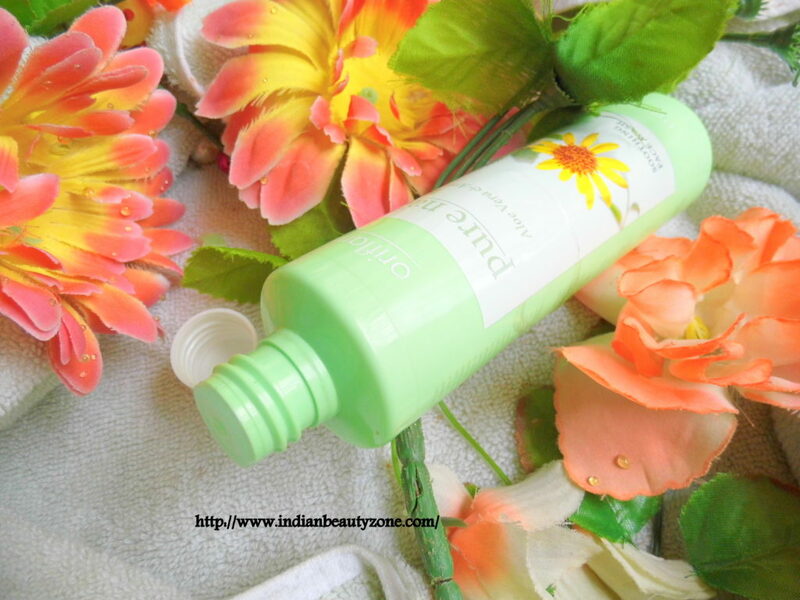 It helped me a lot to recover from dry to oily changing of skin. It helped balancing my oiliness in T-Zone and dryness in my cheeks when my skin was combination during winter. It doesn't dry up skin so much but I have a doubt that this will not suitable for very dry skin people as it lathers very well and wash out the oiliness completely. I have continued using this face wash during summer too. But the oiliness came back on my skin too soon. So I came to a conclusion that this face wash will be suitable for combination to oily skin people. This is a good mild face wash for oily sensitive skin people. This face wash is free from paraben and other harmful chemicals. It is not tested on animals. It didn't cause any allergy on my skin. I am keeping it for the upcoming winter. It is affordable, it may come for a year. Lathers well and cleanse the face well. Controls the oiliness to some extent. Have Aloe Vera and Arnica. Best suitable for oily sensitive people and combination skin people. Mild fragrance and gives refresh feeling. Not for very dry skin people. 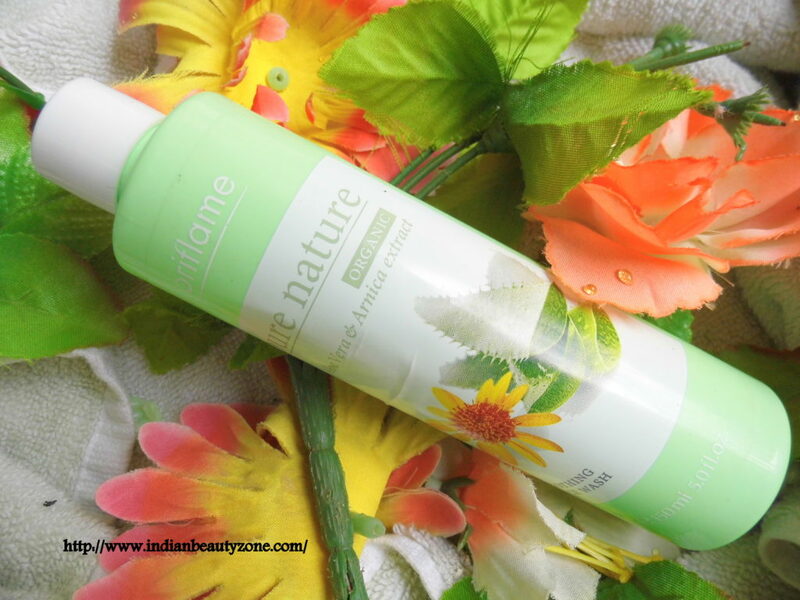 Oriflame Pure Nature Organic Soothing Face Wash will be a best option for you if you have oily sensitive skin like me other than summer season. It is a mild face wash and combination skin people will find it very suitable whole through the year.